Astronomy holidays - a break with a difference! Astrofarm Astronomy Centre is the perfect place for an astronomy holiday - with some of the best weather in France, huge, velvet dark skies and stunning south and west views. We have something for everyone, as Astrofarm specialises in astronomy holidays for both the beginner and experienced astronomer. We have plenty to do for the non-astronomer partner in our wonderful town of Confolens and on site here at Astrofarm in the peaceful French countryside. Our purpose built observatory, viewing platforms, wide range of equipment and clear, dark skies provide the perfect location for both observing and astro-photography. Included in your B&B price you have full access to the Astronomy Centre which includes the use of facilities, observatory, observing area, tripods, telescopes, piers, equipment and software. Our in-house astronomer Andrew, can provide tuition, support and equipment for anyone wanting to improve their skills and knowledge in both observing and astro-photography. Check out our astronomy centre, equipment and resources here and if you have any questions about what you need to bring, please do not hesitate to contact us and we will be delighted to talk to you. Astrofarm accommodation offers the flexibility for guests who will be up throughout the night observing our amazing skies. We provide hot drinks 24/7, breakfast is served until midday and the dormitory is a quiet, dark sleeping room for those heading to bed at daybreak! A minimum guest age of 14 guarantees peace and quiet and the chance to sleep until lunchtime after a full night observing. To help you decide a date for your astronomy holiday, check our moon phases calendar here to make sure that we have just the right skies for your visit. You will also find details of astronomical events, dates for regular events and those special occasions in the astronomical calendar. Here at Astrofarm, we run regular astronomy and astro-photography courses so why not book your astronomy holiday to coincide and enjoy €5 off the normal price for one of our courses? You can find details of all our courses here with dates throughout 2018 here. 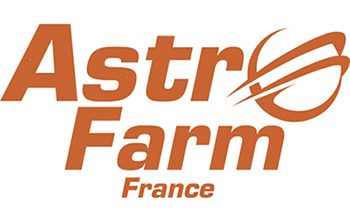 Head to our booking pages and check room availability here and if you would prefer to have a chat with us to discuss your plans and to book by email (best way to book) then drop us a line to admin@astrofarmfrance.com and we will be very happy to help. If you would like to talk to us directly include your phone number in your email and we will call back to a UK landline or mobile.